When the term “speed dating” comes up, most people tend to picture middle-aged spinsters eager to meet Mr. Right. 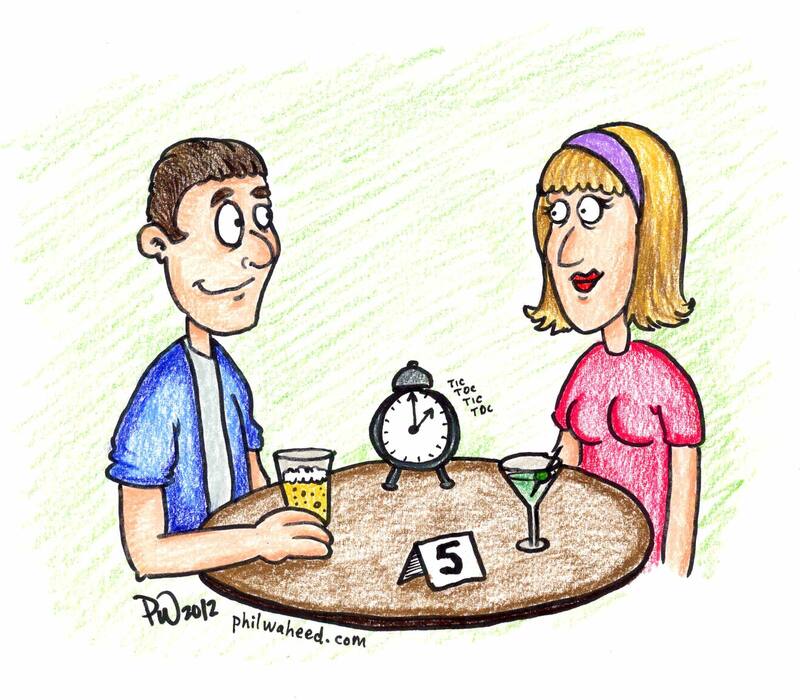 Recently though, I discovered that speed dating isn’t just for the older demographic: every Saturday night, Le Belmont hosts events for age groups beginning at the 18 to 25 range. Before partaking in an evening of speed dating one must log on to www.speeddatingmontreal.com and register your name and coordinates for whichever event suits your fancy. Registration is free, but Le Belmont charges $25 for the evening, which begins at 7 p.m. and lasts a little over two hours. One particularly blustery Saturday I decided to conduct a social experiment of sorts and all but forced a friend of mine to sign up with me for a night of multiple potential dates. Upon registration we have to select our age group, a fact that I found comforting as I had pictured sitting face to face with some guy thrice my age. The organizers then sent out an email to all those who registered detailing the proceedings of the evening. Participants were warned to dress nicely, not to eat onions or garlic before coming and were told that we’d each be “dating” roughly 40 strangers for five minutes each. Arriving at Le Belmont, we found ourselves in a room filled along the perimeter with small cocktail tables, two chairs on each side. The girls were escorted in first and told to sit two at a table, on the chairs facing outwards towards the room. While we eagerly anticipated our knights in shining armour, the real hero, the bar waitress, came around to take our drink orders. These were not included with the price of the ticket. Everyone was given a piece of paper with lines designated for each person you meet and a box to check off ‘Y’ for “yes I would like for the organizers to give this person my number,” or ‘N’ for “no.” Only if both parties check off the ‘Y’ will the organizers set them up. After waiting for almost 20 minutes, the gentlemen swooped down on us. As it turned out, the vast majority of them were 26-27 years old, not 25 as was designated. This, I was told by our host, was because there weren’t enough under 25s registered. Though the event was open to both anglo and francophones, there was a clear majority of the latter. Strangely, speed dating seemed to cater to a very specific demographic: the French-speaking public service industry worker hailing from the South Shore. Aside from an accident scene, I have never seen so many firemen or police officers huddled in one area. All of the men I met said it was their first time speed dating, which led me to believe one of three things: a) this event carries a large success rate, and as such there’s no need to come back a second time b) this event is awkward and uncomfortable so nobody wanted to come back a second time or c) they were lying and actually show up every week. On a more romantic note, it was obvious that most people signed up in the hopes of meeting someone, all for different reasons. “I just broke up with my girlfriend, and wanted to meet someone different than I normally would in my circle of friends,” said Guillaume R. Others were a little more honest. “I’m lonely,” admitted Phillip M.
Overall, the atmosphere was awkward, the conversation contrived and the acoustics in the room made it so loud that I could barely hear my partners. I cannot say that I’ll be going back, and I still think there are better ways to meet potential dates.